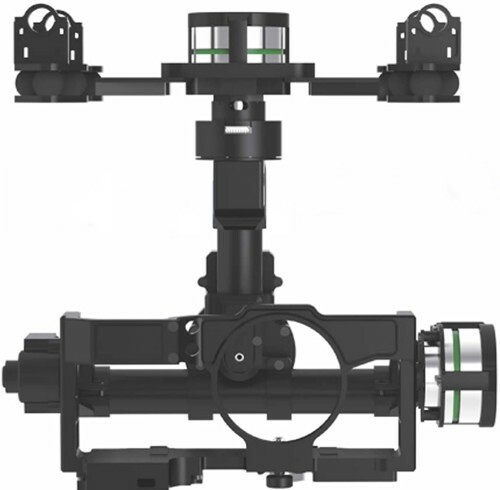 The DJI Lightbridge is a Full HD digital video downlink running on the 2.4 Ghz frequency. 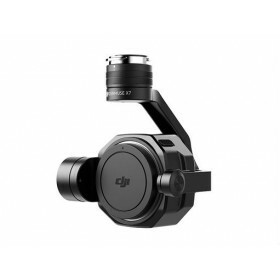 The DJI Lightbridge offers extremely powerful, small and light-weight form factor. 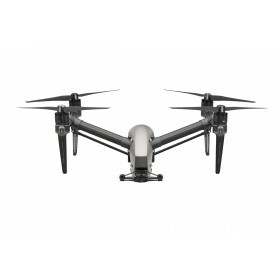 The live HD video streams up to 1920 x 1080p @30fps from up to 1 mile away, which means that it is the ideal solution for the professional aerial photographer and First Person View / FPV users. The DJI Lightbridge will remove the limits from low definition analog video transmitters. The DJI Lightbridge has a ground station which is less than 100mW which is in compliance with CE and FCC certification, there will be an option to add an optional 14 dBi patch antenna to boost transmission distance tremendously, and predictions are 3.0 miles in the right conditions with this upgraded antenna. When connecting up the Lightbridge you will find that there are a number of DJI and industry standard connectors to allow the integration of the Lightbridge into your workflow with minimal disruption, AV input, HDMI input, DJI Zenmuse gimbal input (Digital Video/Power Supply/OSD Data) HDMI HD image output and USB 2.0 image data output for iOS and Android phones and tablet synchronization. The use of the 2.4 GHz in the Lightbridge means that you are able to connect up your remote control and video system together to allow a seamless link to your aerial platform, the DJI Lightbridge supports two remote controls: one for flight control (10 Channels) and the other for gimbal control (6 Channels). Control signals are received in the air and then transmitted to the flight controller through the S-BUS / D-BUS system. Remote control data travels to the uplink via the TX-Thru Port at the same time that video is streamed back down all without interference so there will be no issues using your radio system. If the video transmission system is used as a standalone system it is not recommended to use a 2.4 Ghz radio system as there can be issues, only use 2.4 GHz radios via the S-BUS / D-BUS system. DJI’s Lightbridge has a Frequency Hopping Spread Spectrum (FHSS) + Direct Sequence Spread System (DSSS) technology is used for the uplink transmission to enhance the stability of the connection and offer anti-jamming capability. The use of this FHSS and DSSS means that up to 8 downlinks can be connected for parallel streaming and work independently without interference from one another. The Lightbridge supports "MIMO", multi-antenna technology and OFDM modulation methods, these along with the advanced algorithms are utilized for downlink transmission to enhance data bandwidth, improving dynamic performance and increasing stability even in challenging environments, any interference is constantly checked for and is monitored during the downlink transmission with an automatic switching between 8 channels for the best possible signal all of the time with a Maximum latency of up to 80ms. No additional equipment is required with the Lightbridge for OSD functions when used with DJI A2, DJI Wookong-M and Naza-M V2 flight controllers, the flight parameters will be displayed onscreen when desired, the OSD functionality can be turned off via the mobile software for HDMI and iOS / Android Output. A single Lightbridge air unit can transmit to multiple ground units sending video to multiple screens. (Only one of the ground units can be used to send a control signal while additional ground units will only be able to receive a video signal). The Lightbridge encryption ensures only authorized devices can receive data which can be programmed via mobile device software. The Lightbridge ground unit has a high capacity 4000mA battery built in offering up to 4.5hours of use per charge, it is rechargeable through the supplied charger or via a 3S~6S Li-Po power battery, there is a USB charger port for mobile devices, this prolongs the life of peripheral equipment with a battery status level indicator. A full charge of the Lightbridge battery takes approximately 1.5 hours. The aluminum alloy casing with extreme internal and external shielding for interference protection means that the Lightbridge will deliver the best possible performance and HD Video. Please Note, this product is very new to the market place and there have been a number of updates where the core functions of the firmware have been changed and this will change the functions of the Lightbridge, for the latest updates on the firmware updates and functions please check the release notes found at DJI's Lightbridge information page to ensure the system will work with your system. 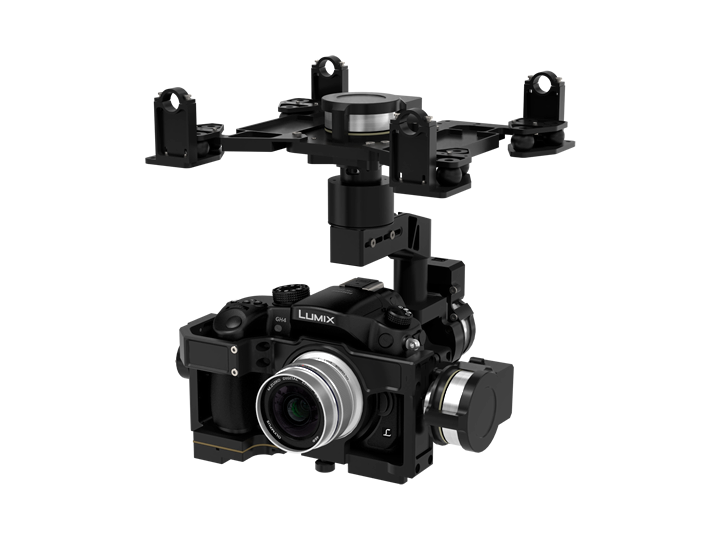 The DJI Zenmuse Z15-GH4 (HD) camera gimbal is the next brushless gimbal released from the DJI camp, the GH4 gimbal is an upgraded version of the very popular Zenmuse Z15-GH3. The GH4 Zenmuse represents the latest in brushless gimbal control and continues to deliver another level in precision and control. 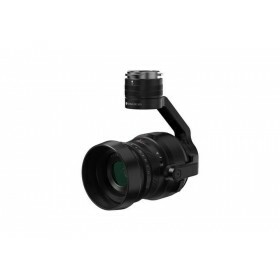 The Z15-GH4 delivers a precise control range of just ±0.01° which means that you have ultimate control when using this gimbal with a DJI professional aerial system like the DJI S900 or DJI S1000 OctoCopter Premium. The DJI Zenmuse Z15-GH4 is the ideal gimbal for aerial cinematography and photography and will remain stable and under control even in strong winds and during high speed flights. The Zenmuse Z15-GH4 (HD) has been designed specifically for the Panasonic GH4 and GH3 cameras, so either camera can be used, both fit perfectly in the gimbal. 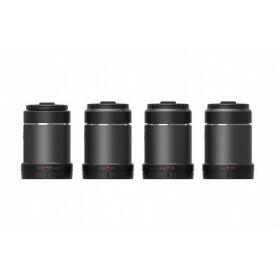 The Panasonic GH4 is known for its digital film quality images from the small and lightweight body. 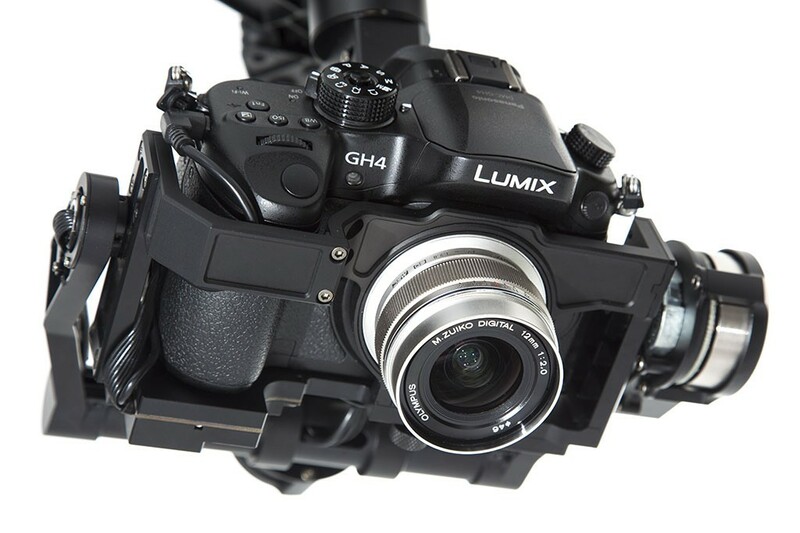 The Zenmuse Z15-GH4 (HD) gimbal comes in the GH4 configuration and will connect with your GH4 through the standard HDMI cable, however if you are using a Panasonic GH3 camera with the gimbal you will need to use the included GH3 HDMI cable. The weight of the gimbal has been reduced by the use of a small video output module which allows control of the camera shutter and other features while converting the HDMI output signal into a first-person-view AV signal for use with video transmitters like the ImmersionRC 600 mW 5.8 GHz Long Range Transmitter. More weight savings have been found within the wiring, this has been kept to a minimum to reduce weight. The video output module can be switched between the HD and AV output modes; the HD option integrates perfectly with the DJI Lightbridge HD digital video downlink. With three camera control modes, the GH4 offers the most creativity with ease of flight. The three modes are Orientation-locked, Non Orientation-locked and Back to Mid-point (Horizontal). All three modes can be switched between quickly and easily so the needs of the shoot can be the center of attention.